Give yourself as much space as the wild outdoors to share your message. 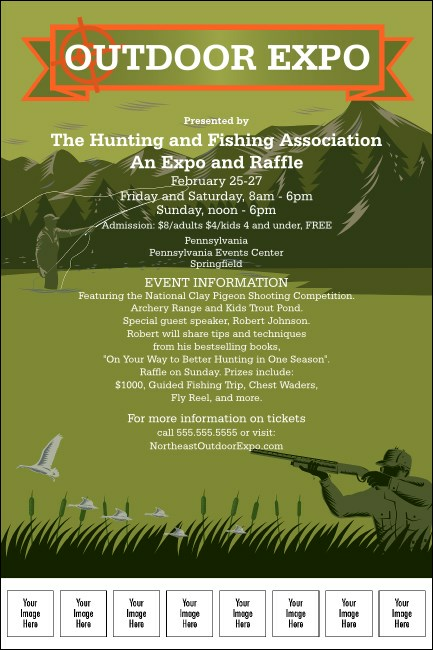 The Sportsman's Expo Poster has all the room you need for your custom event details. This template features images of wildlife and wilderness as well as space for eight images, so you can upload photos and logos of your vendors and sponsors.